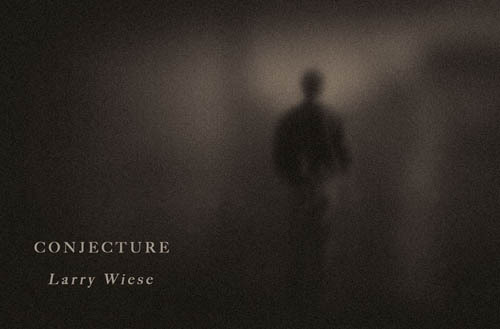 Gallery 478 is pleased to present Conjecture: Selected Works by photographer Larry Wiese. The exhibition will open on June 3 during San Pedro’s First Thursday Artwalk, from 6 – 9 PM. An artist’s opening reception will be held Saturday, June 5, from 4 – 7 PM. Larry Wiese’s involvement with photography spans more than four decades. Known for darkly spare images that are rich in tone and evocative of both grace and menace, Wiese’s work has been widely exhibited, collected, and published in the United States and abroad. Conjecture is a selection of figurative images befitting his reputation as a poetic maverick, capable of spanning time and space, recognition and memory, with eloquence and conviction. Black and white images, culled from the series Recall, are moody, atmospheric time-stoppers – single or multiple figures appear quietly and completely isolated within the frame, softened as if recalled. New color images from the Menschen portfolio reveal Wiese utilizing the very deliberate palette of a painter, with spare, almost magical color appearing against lush, dark grounds. Many images border on the abstract with multiple figures seeming to merge into one, or cut against the ground transforming the picture plane into a self-referential organization of color and shape. Curated by Ray Carofano, Conjecture will be on view through Aug. 27. Gallery hours are Monday – Friday, 11 AM – 5 PM, and by appointment. I love your site. Congrats on the great progress with your book reviews. It looks great. Could you change my web site address to http://www.roberthansen.com. That is my fine art professional website. Also, my teaching is on a one-on-one basis so if you are in contact with Pribble have him take down any reference to The Center Gallery at this point.